120 pages. 275x215mm. Printed on gloss art paper, card covers. This is the story of a railway built to the highest engineering standards, comprising two lines, one of double track and the other single, with seven passenger stations, none of which was ever opened. Consequently, although it managed to eke out a sixty-year existence as a goods line, this obscure and largely unknown backwater never came close to returning a profit. 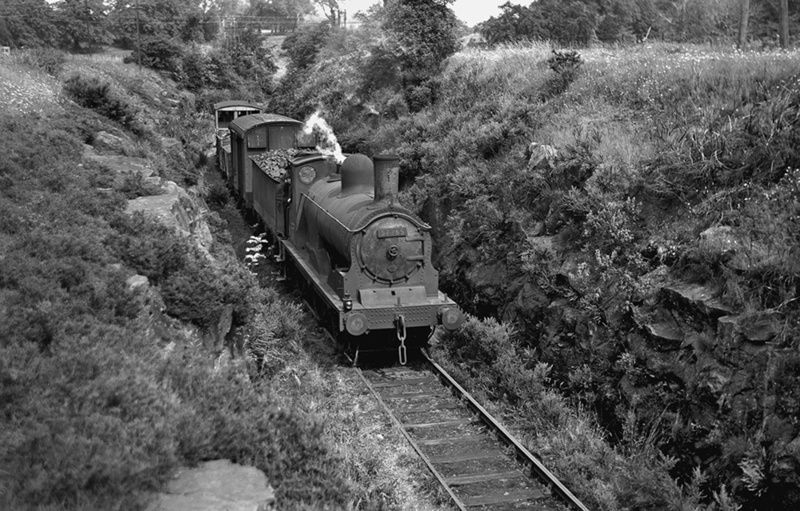 Although having its origins in schemes dating back to the ‘Railway Mania’ of the 1840s, it was not until 1897 that the Paisley & Barrhead District Railway received Parliamentary approval and another year before the contracts for its construction were let, with opening throughout set for 1901. Bedevilled then by slow progress in the building work, with the weather, the death of the P&BDR’s engineer and shortages of funds all contributing to the hold ups, it was still far from complete when the Caledonian Railway took over the troubled company in 1902. The CR ploughed some three-quarters of a million pounds into completing the line, which finally opened to goods traffic in the summer of 1905. 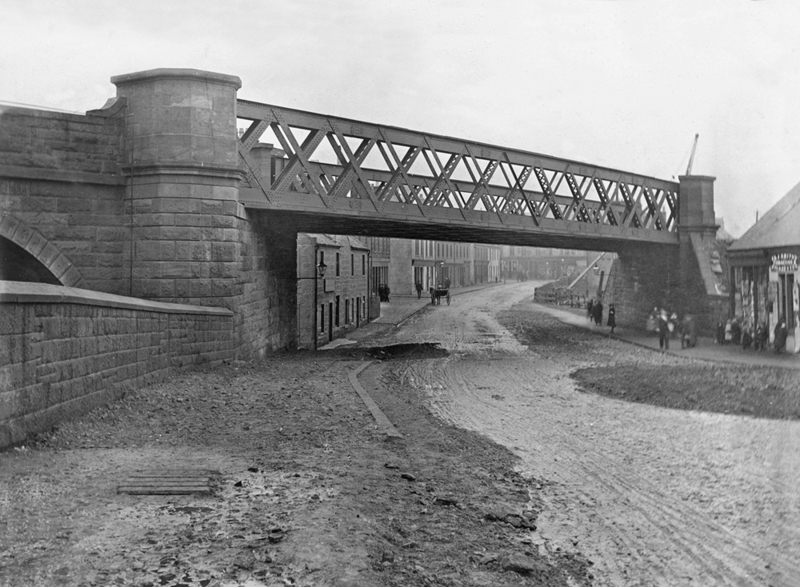 However, by this date, the imminent opening of the Paisley District Tramways Company’s line between Paisley and Barrhead resulted in the railway never being opened to passengers. This history documents several proposals during the 19th century which came to nothing and the construction, run-down and eventual closure of the competing lines of both the Caledonian and Glasgow & South Western railways between Paisley and Barrhead. 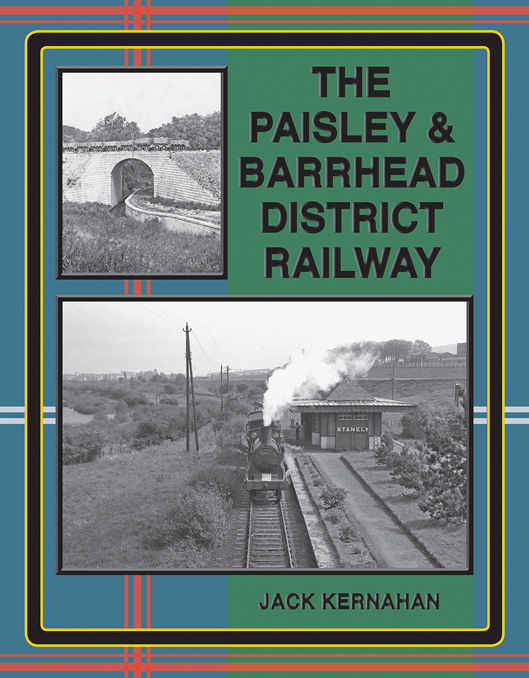 It is fully illustrated with plans, maps, diagrams and photographs, of special interest being a large selection of hitherto unpublished historic views taken during the construction of the Paisley & Barrhead District Railway.